I sat in Archbishop Carnley’s office nervously excited. The finely furnished office had an expansive view of St George’s Cathedral in Perth, Western Australia. Everything about the encounter was intimidating. 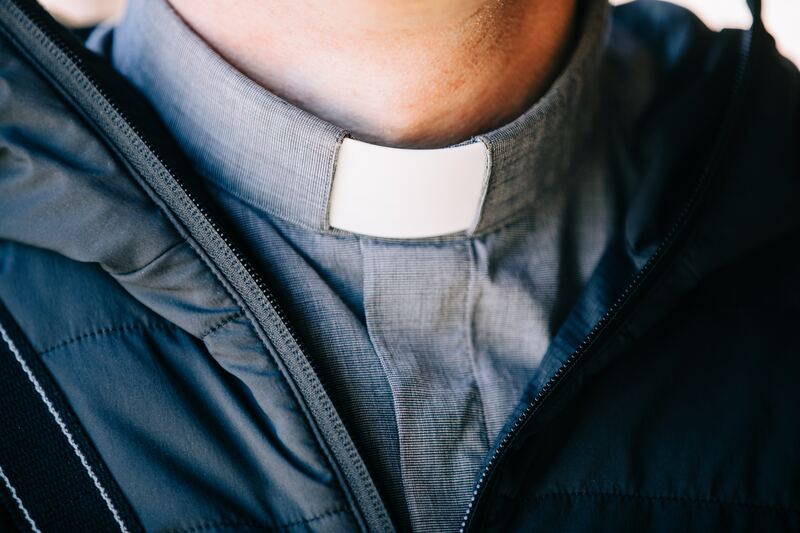 I was just 19 years old, fairly new to the Anglican Church but completely certain that God was calling me to the Priesthood. The Archbishop was a 6 foot 5 giant of a man, both physically and intellectually. A noted theologian, he spoke with a refined accent that unfortunately gave you the impression you were wasting his time. I pointlessly tried to calm myself, eventually sputtering out my sense of calling to the priesthood. What I didn’t know at the time was the Archbishop was keen to attract younger priests. So despite my inexperience and nervous presentation, I found myself invited to a discernment weekend. Hosted at the beautiful Wollaston Theological College, located amongst bush by the Indian Ocean. Over the coming years, I would spend a lot of time at Wollaston, living in one of the small onsite cottages, studying and eventually working there for YouthCARE. It was billed to be a weekend of intense interviews with senior clergy and laity called, ‘Examining Chaplains’. Their singular task was to deliver one of three recommendations to the Archbishop, invite the candidate to join the priesthood training program, recommend they come back sometime in the future, or, state they don’t see the person as being called to the priesthood. Their response to me was to recommend I revisit my calling when I am older. I wasn’t aware of this at the time as I received an invitation to participate in the priesthood training program starting the following year. What I learned later was the Archbishop had overridden their recommendation and ordered I be included. Clearly not the best start as the very people who didn’t feel I was ready, were the same people who were charged with training me and continuing the ongoing examination of my progress and calling. Not surprisingly, the next two years were difficult. The style of formation at the time was to challenge your theological beliefs and assumptions about ministry and then assist you in constructing what they felt was a more appropriate framework for successful ministry. I recall it once being said that the harsh approach of the training program was excellent preparation for the hurly-burly of ministry. It was an incredibly negative experience and as a result, when eventually, two years in it was recommended that I take a year off, not only did I take it, I never returned to this toxic program. So my calling to the priesthood remained clear but unfulfilled. I went on to complete my degree in Theology and found some ministry expression through becoming a volunteer lay chaplain at a psychiatric hospital while completing a Certificate of Pastoral Care. I then went on to complete a Masters Degree in Art Therapy, focusing my thesis on the relationship between psychosis and spirituality. I remained very active in the church forever curious as to what my calling to the priesthood meant. It would take 13 years before I revisited ordination again. By then I was living in New Zealand and a member of the Wellington Cathedral of St Paul. I had also planted a virtual church in Second Life, which went on to become an active church ministry that is still going today. At this point, I was CEO of Bible Society of New Zealand, ran a virtual church plant, but still felt a strong calling to the priesthood. I approached Bishop Tom Brown, and after a period of discernment (endless conversations, prayer, meetings, and training), I found myself sitting in the meeting room adjacent to Bishop Brown’s office. One of his staff hand-delivered a letter from the Bishop. I opened the envelope to discover a letter affirming he would ordain me! I was then shown through to his office where he congratulated me in person. What a magnificent moment that was! On the 22nd of November, 2008 at the Wellington Cathedral of St Paul, some 17 years after my calling, Bishop Brown lay his hands on my head and ordained me into the Holy Order of Priesthood. Now, ten years later I am acutely aware of the responsibility my calling to the priesthood means. As my supervisory priest offered in the first week following my ordination, ‘your task is to love the people you serve.’ That remains my task, alongside proclaiming the gospel and standing with the poor. that we may carry out the ministry of love. to share this ministry as priest(s). for the office and work of a priest in the Church. As I continue my work as a priest, my prayer is that I am directed often to those who need God’s love and have the wisdom and courage in how best to act. My ordination to the priesthood, alongside 9 other Deacons. Previous What of the poor? Next Christmas Eve and Christmas Day Sermons. I have always wondered about the organized training of those who are “called”. I don’t mean to say that I believe it is a bad thing, but I can’t get past the fact that if God calls a person, that is a unique relationship and the ministry will be what He chooses it to be. Stepping outside of the conventional often means standing alone with the absolute knowledge that you stand where He chose for you to be. I am glad that your path aligned. Thank you for sharing your ordination with us. It is a remarkable chapter in your life. Amazing! You are a blessing to many, including myself. God bless you for all you do. Thank-you for sharing your journey to become an ordained priest. The Holy Spirit flows through you. Thank-you for sharing God’s love with us & teaching us Mark! You are a mighty servant of God! God Bless you & your family.